Amid increased importance of platelet transfusion, this timely reference offers an expansive examination of related sources, manufacturing practices, storage conditions, modifications, and clinical aspects. The importance of platelet transfusion, prophylactic or therapeutic, is evidenced by its increase in recent decades. This comprehensive volume comprising the work of specialists from both sides of the Atlantic contains the latest information on the topic, which in some cases is available nowhere else. 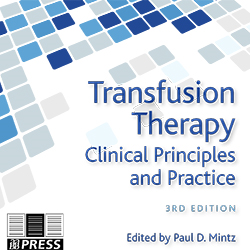 Apart from addressing how it is used in a wide array of clinical settings—not only in hematologic malignancies but also in surgery and trauma, platelet dysfunctions, hepatic disease, premature neonates, and others—this book also considers the important question of why, in order to promote appropriate transfusion practice. Chapters are designed as stand-alone resources on each topic for easy reference and can be divided into two sections. 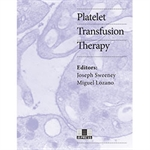 First, the manufacturing and processing chapters explore methods to minimize the platelet storage lesion while improving safety; second, the clinical chapters explore the controversial aspects of clinical appropriateness. With such a broad range, this is the go-to reference on platelets for clinicians and technologists alike. Production methods and additive solutions. Prophylactic, active bleeding, and refractory settings. Apheresis vs whole blood sources.